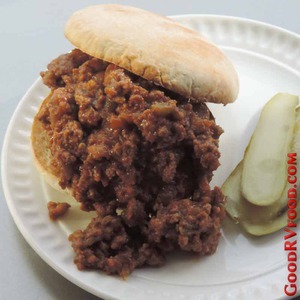 Sloppy Joes were one of my mom's go to recipes when I was young. This is my twist on the classic Joe recipe which I call José due to the addition of chopped green chiles, the signature flavor of New Mexico. I love almost anything with green chile on it or in it. The recipe is easy and can be made more sweet or spicy to make your family happy. 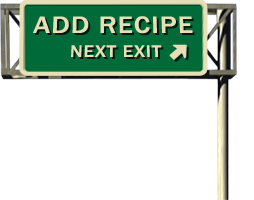 This recipe is also very flexible to grow or shrink to feed everyone around your table. I know you can buy Sloppy Joe sauce in a can, but it just isn't the same as fresh and this recipe really doesn't take long at all even in my small RV kitchen. Leftovers keep well in the fridge for up to three days and reheat nicely in the microwave for flavorful quick meals. The following amounts are just suggestions. Adjust them to your taste preference. If you want a more traditional Sloppy Joe just omit the can of chiles. In a large pan add the chopped onion, green pepper, and chiles with the hamburger and saute until there is no more pink in the meat. Stir frequently so the hamburger crumbles evenly. Remove any excess grease and liquid. Add the rest of the ingredients and stir well. Simmer for about 10 minutes. Serve on sliced rustic rolls or toasted burger buns. I like to use heavier weight hamburger buns so it does not get too soggy.